Aw, Golden Son. The book, that while I enjoyed, caused a book slump which I am never too happy about. I started it, but for whatever reason, had trouble reading and it took up a decent chunk of my month. I definitely liked it more than Red Rising. 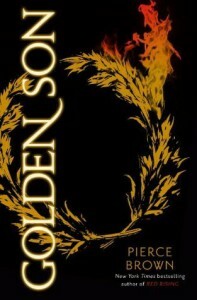 I knew the storyline of Red Rising had a lot of promise, but I had issues with the second part, but I knew that the overall series would go beyond that. And it did. This was a much better book, even though I took a bit to really get into it. The ending. Oh the ending. OMFG the ending. I need the next book.